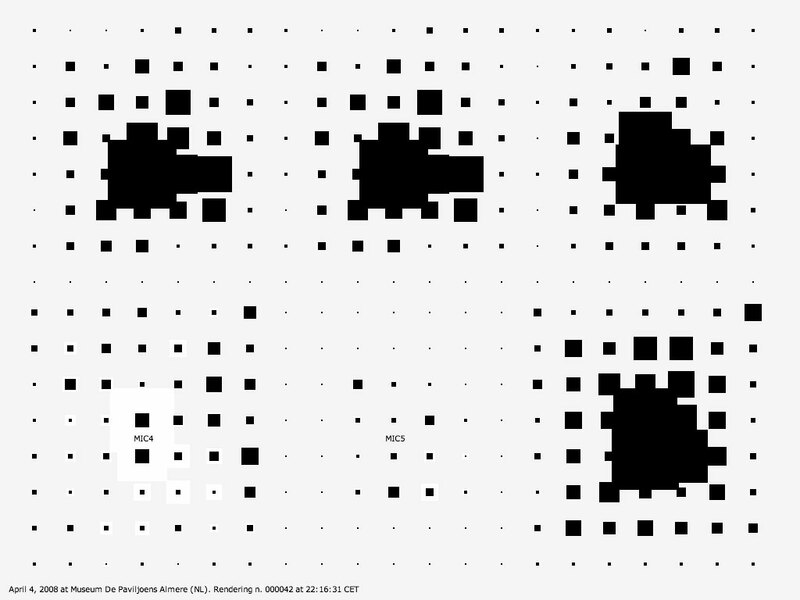 Silence, neutrality and contemplation. 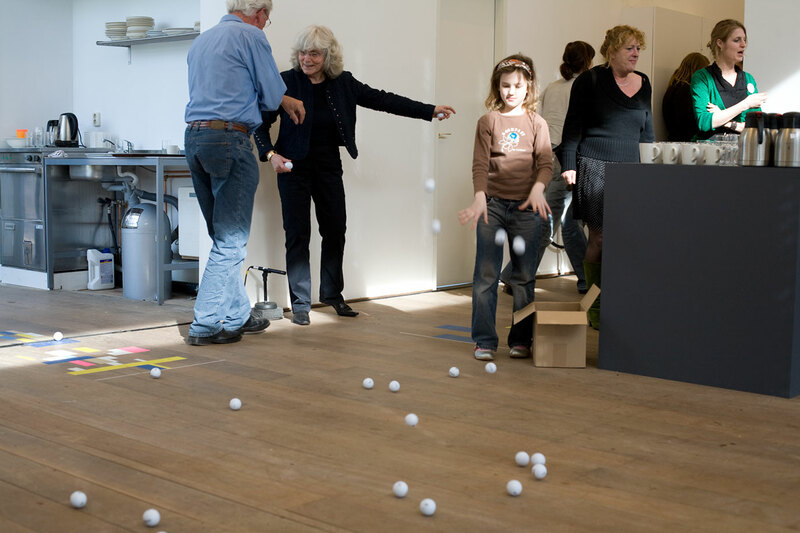 These are the attributes of a contemporary exhibition space. 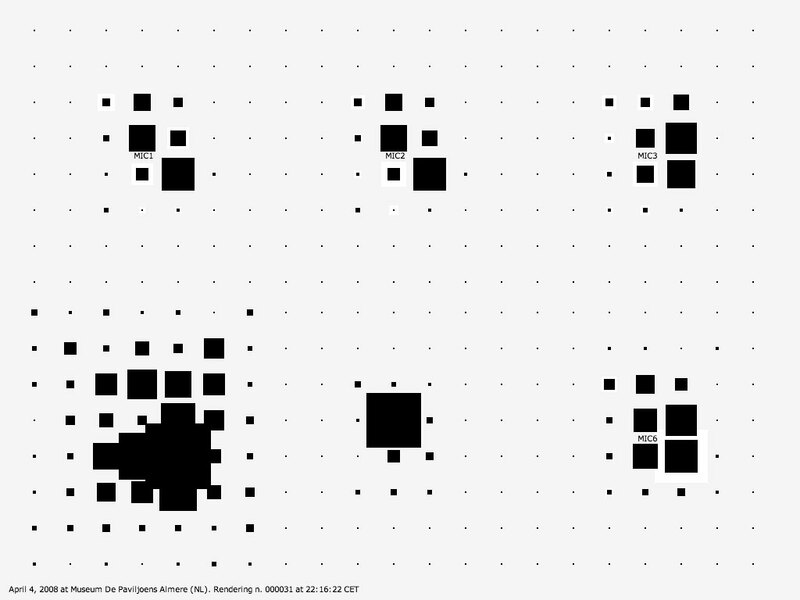 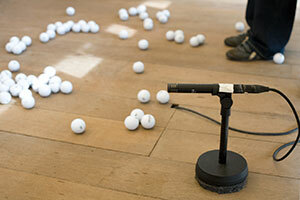 Here, sound does not exist until generated by external intervention. Sound distribution measurements within empty spaces often take place by creating an initial sound impulse and examining the rebound of tones. 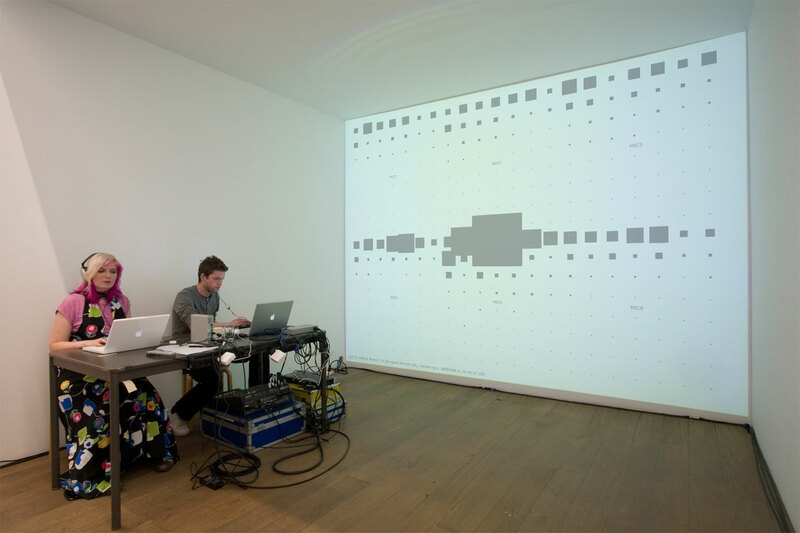 In a bare, acoustic environment like the white cube, a similar approach seems appropriate and could serve as a model for artistic research and analysis of spatial sound. 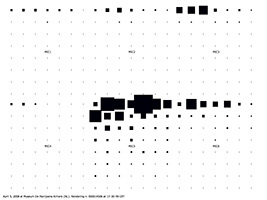 The audio-visual installation If Paintings Could Talk was developed for the 2008 museum weekend at Museum De Paviljoens to explore its very own acoustic patterns. 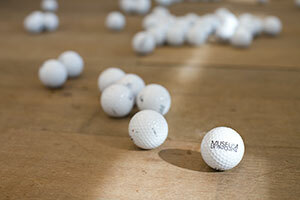 For this the floor of the museum was covered with golf balls. 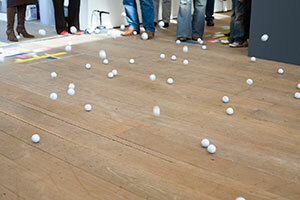 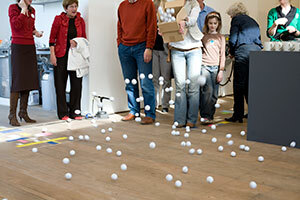 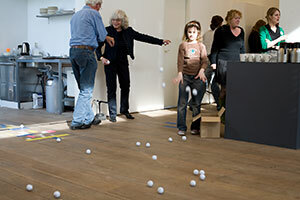 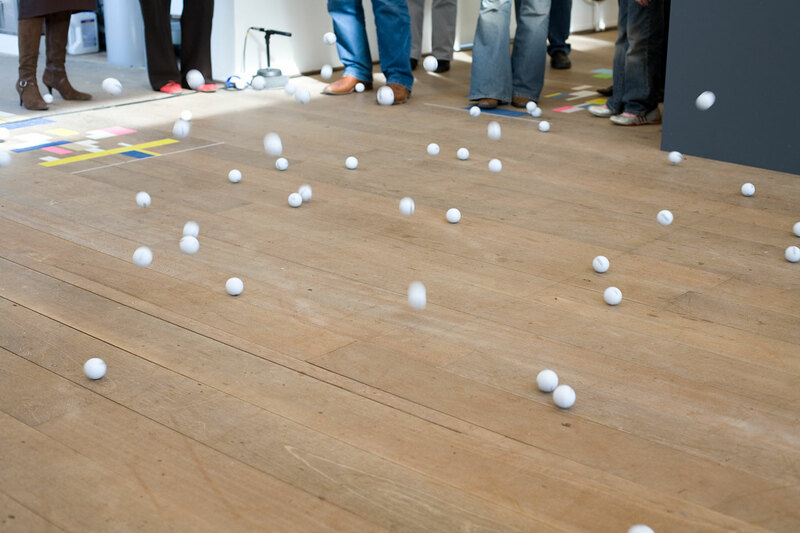 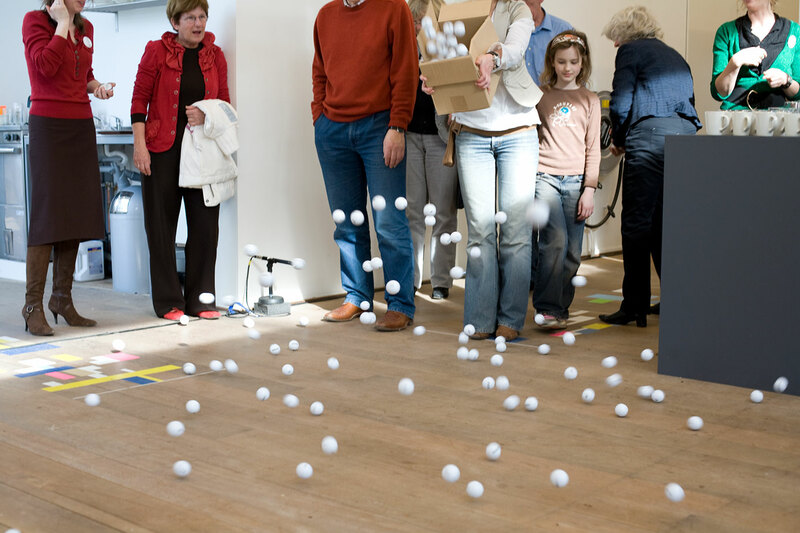 Then, with every step a museum visitor incited the balls to scatter around and generate sound. 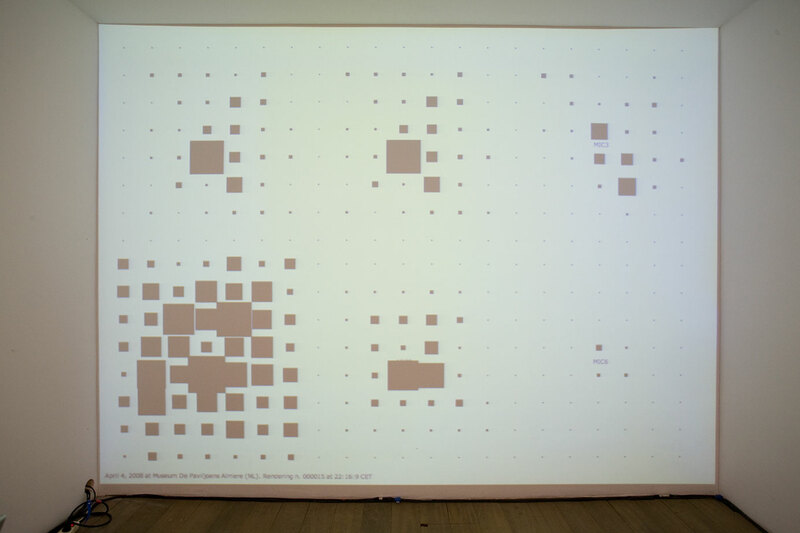 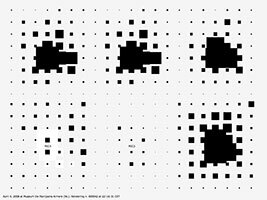 This allowed to record the spatial dimensions with the help of microphones and subsequently process them into a visual image.